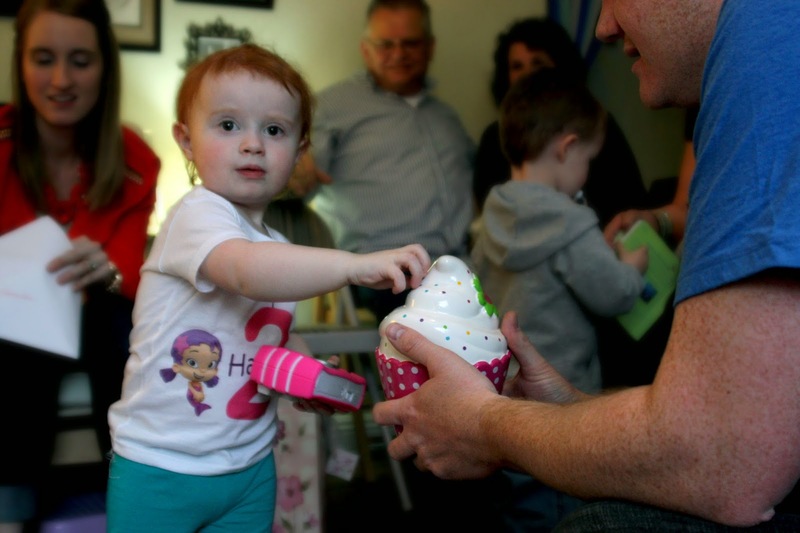 My sweet baby girl (I have no idea when I will stop calling her that…it might be never) turned 2 this last April! Of course we have to have a party. I have to confess something right now. I love parties. I love hosting them, I love going to them, I just love the feeling of a party. I went all out, because, well that is what I do. I actually did not stress out that much over the decor because I did a TON of it before hand. I made myself a timeline and I stuck to it. 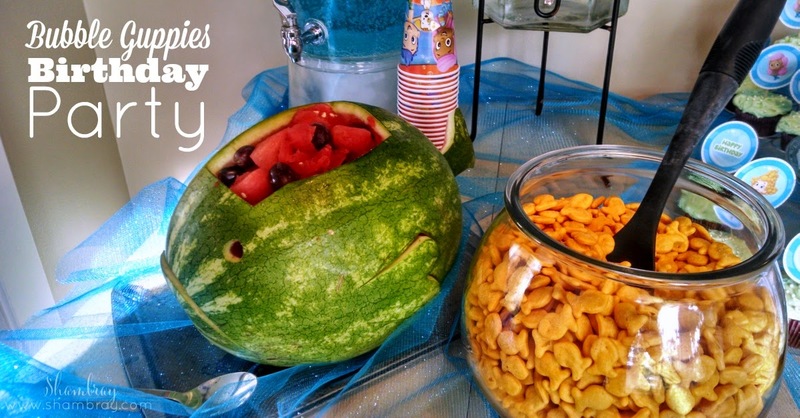 -Decide on a party theme and colors to go with it. - My daughter is quite obsessed with Bubble Guppies. I kind of like it. I think it is adorable; so I went with that theme. 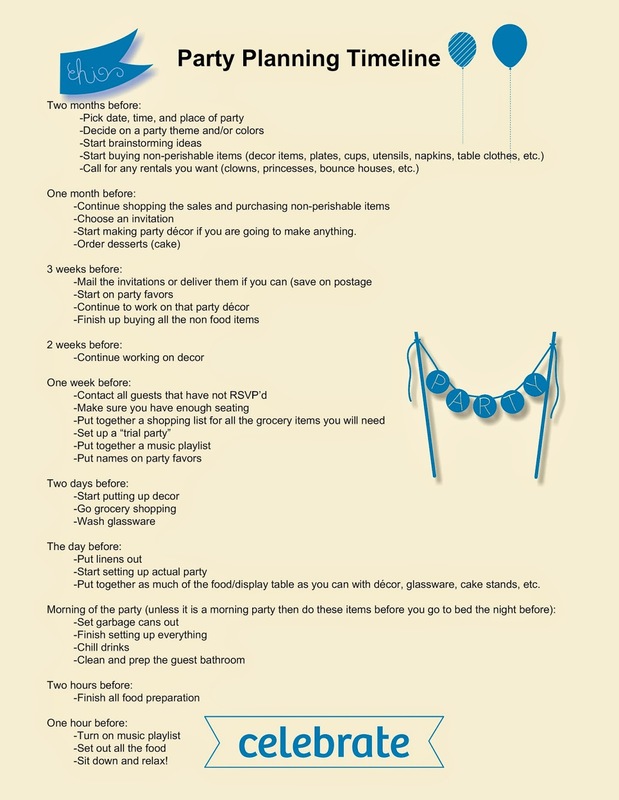 -Start buying items that will not go bad for the party (decor items, plates, cups, utensils, napkins, table clothes, etc.) The benefit of starting 2 months early is you can shop the sales and price items out. This way the party ends up costing less. I was able find this adorable shirt on Etsy. I bought it with plenty time to spare and the birthday girl LOVED IT! -Now would be a good time to call for any rentals if you want to do that. I did not do that for this party. She is easily entertained with everyone that came to the party. Thanks Ashley! I love doing stuff like this! I'm excited for your shower! 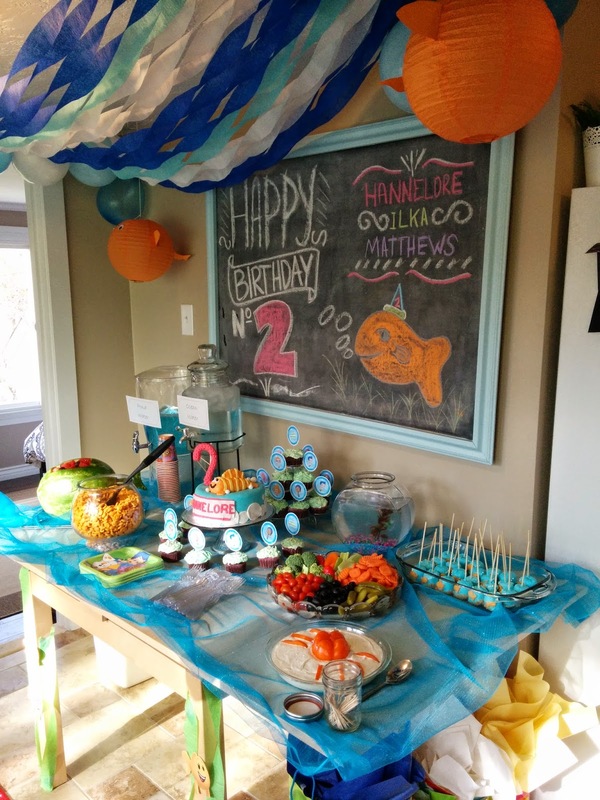 This party is adorable!! Thanks for all the tips! Yeah it is a favorite here. They are quite cute little things! Thanks for the Link party! I love it! Cute party! I really like the cake!